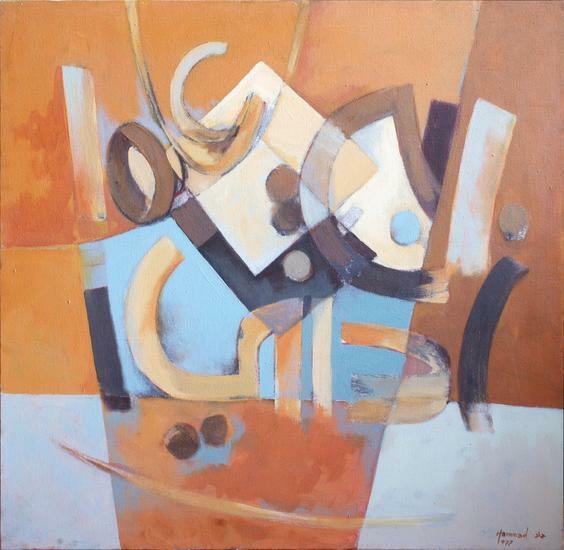 Born in Damascus in 1923, the Syrian multi-skilled artist Mahmoud ibn Amin Hammad was a painter, printmaker, medal engraver and sculptor. Hammad attended the Italian School of Damascus where his artistic talent was discoverd early on by his professors. A pioneer of modern Syrian art, he studied the art of engraving at the Accademia di belle arti di Roma during 1953–1957. After completing his studies he returned to Damascus in 1960 and taught as professor at the Fine Arts Faculty of Damascus since its creation. From 1970 until 1980, he became dean at the Fine Arts Faculty of Damascus. In 1939 he started exhibiting in the Middle East, Europe and the United States. 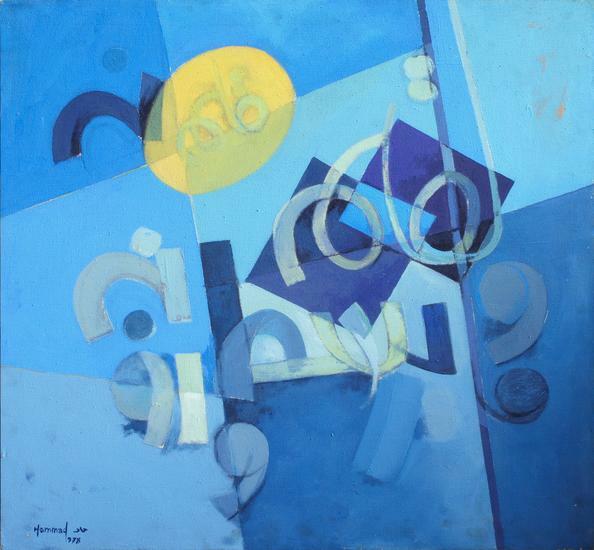 In his work, Hammad repeatedly uses geometric themes of elementary forms to express the dynamic spirit of the Arabic letter. Among circles, squares, rectangles, determined by the color, the letter appears with liberty to end a profound silence. 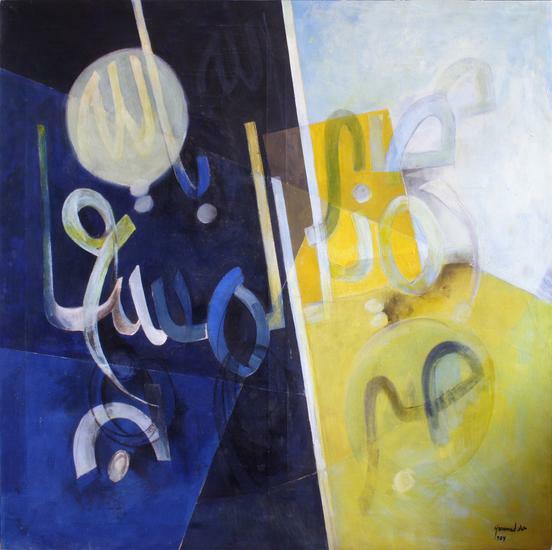 Green Art Gallery in Dubai is currently exhibiting 'Works on Paper: Hikayat', an exhibition that brings together over 50 works on paper by Modern Arab artists including Khouzayma Alwani, Mahmoud Hammad, Adham Ismail, Jamil Molaeb, Fateh Moudarres, Aref El Rayess, Khaldoun Shishakly, Seif Wanly and Elias Zayat.